Hello all and welcome to Comic Box Commentary. I am new to blogging and have high hopes but limited time. The dream situation would be reviews of current comics as well as TV, movies, and other pop culture nuggets as warranted. The blog will most likely be up and running full force after the holidays. 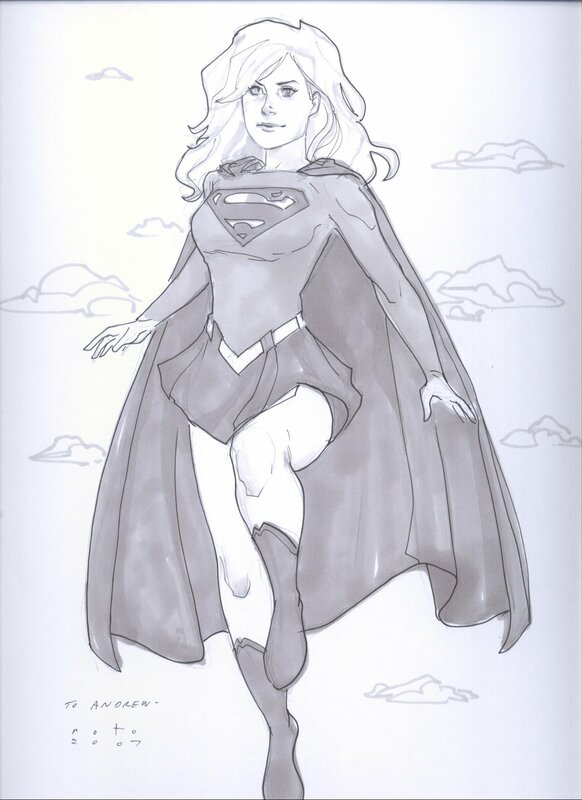 In the meantime, enjoy a commission I obtained from Phil Noto at the Baltimore Comicon of my all-time favorite character Supergirl. I love Noto's classic 40's glamour style. In this commission, I love Kara's girl-next-door good lucks.